Oxford Castle is steeped in history dating back nearly one thousand years. 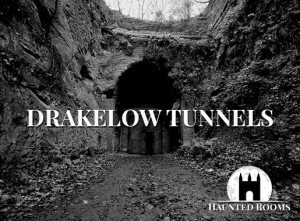 The sinister crypt underneath the tower, the padded cells, long corridors of cells where the heavy metal doors slam shut, a tower that has a terrifying atmosphere and last but not least the Well Chamber deep in the mound of the Castle Hill. Many tourists flock to Oxford Castle by day but little do they know that they are surrounded by the spirits and ghosts who make their presence known in the dead of night. 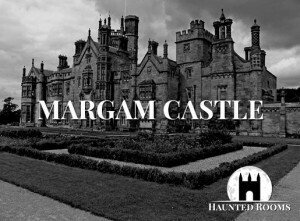 An overnight ghost hunt at this haunted castle is definitely not to be missed if you enjoy the thrill of ghost hunting. 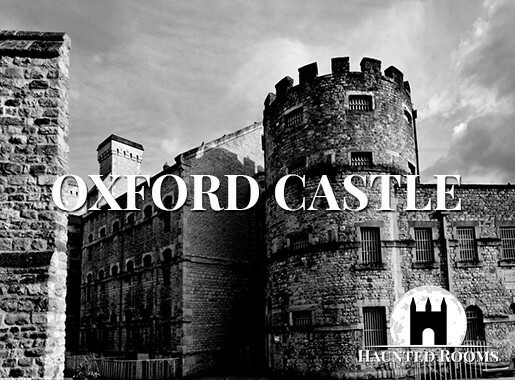 Overnight ghost hunts at Oxford Castle give you the opportunity to explore this haunted castle and prison in the dead of night. 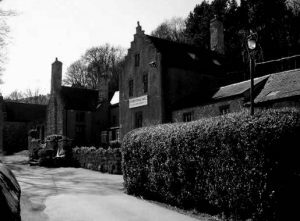 With tales of witchcraft, rituals, murder and revenge, this foreboding location sits above a dark and spooky Crypt which dates back 900 years. 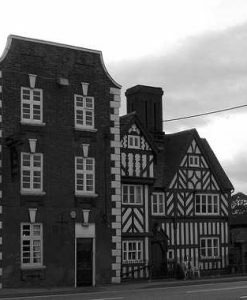 A ghost hunt at Oxford Castle in the heart of Oxfordshire would test the nerve of the most experienced paranormal investigator and we have exclusive access for the night to explore in search of the ghosts and spirits that still lurk within. 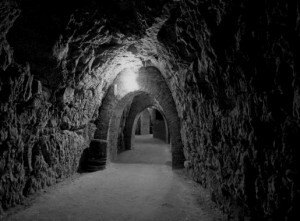 Oxford Castle is a terrifying place by night and ghost hunts here are not for the faint hearted. 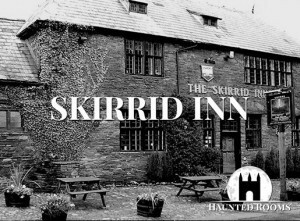 With a history of witchcraft, murder, imprisonment, execution and sacrifice, there is little wonder that this building has become one of the most renowned for paranormal activity and ghostly sightings and we have exclusive access for the entire night. 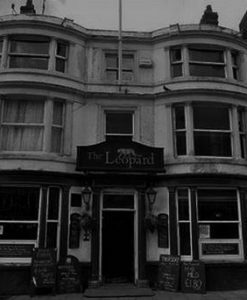 A ghostly figure of a woman (believed to be the infamous Mary Bland) has been witnessed on several occasions, most frequently on the Castle Mound where she was hanged in 1752. 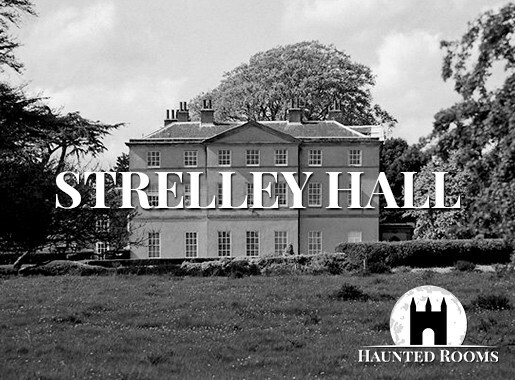 Many others have reported two sinister figures dressed in black and many staff members will not walk around alone due to the terrifying feeling that they are being watched and followed even during the day. 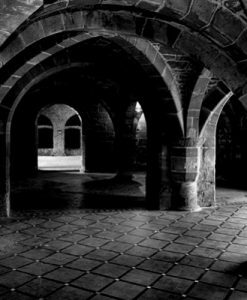 Ghostly footsteps along the Prison Wing corridor, loud thumping sounds from within the Padded Cell and shuffling sounds within the 900 year old Crypt have all been heard on ghost hunts at Oxford Castle and stones have even been thrown back from empty parts of the Crypt during vigils. Whatever your experience, there is little doubt that a night within the confines of this frightening location is a daunting prospect. Built in 1071 by Robert d’Oilly, Oxford Castle was in existence as a prison up until as recently as 1996. The last public hanging at the prison was in 1863 and the last hanging within the prison walls was in 1952. It has so much history that it would take forever to relay this to you here. Legend talks of the ‘Oxford Castle Curse, described as the Black Assize of 1577 when a curse was placed on the Court, the Jury and the City by Rowland Jenke after his ears were cut off. Hundreds of people died mysteriously within the space of a few weeks and sinister human remains were recently discovered within the Well Chamber which has been dated back to the late 16th Century. Although there are no absolute conclusions it is thought that they could belong to the victims of Rolwland Jenke’s Curse. Oxford Castle was built by the Norman baron Robert D’Oyly the elder from 1071 D’Oyly had arrived in England with William I in the Norman Conquest of England in 1066 and William the Conqueror granted him extensive lands in Oxfordshire. Oxford had been stormed in the invasion with considerable damage, and William directed D’Oyly to build a castle to dominate the town. In due course D’Oyly became the foremost landowner in Oxfordshire and was confirmed with a hereditary royal constableship for Oxford Castle. D’Oyly positioned his castle to the west side of the town, using the natural protection of a stream of the River Thames on the far side of the castle, now called Castle Mill Stream, and diverting the stream to produce a moat. There has been debate as to whether there was an earlier English fortification on the site, but whilst there is archaeological evidence of earlier Anglo-Saxon habitation there is no conclusive evidence of fortification. Oxford Castle was clearly an “urban castle” but it remains uncertain whether local buildings had to be demolished to make room for it. By the mid-12th century Oxford Castle had been significantly extended in stone. The first such work was St George’s Tower, built of coral rag stone in 1074, 30 by 30 feet at the base and tapering significantly toward the top for stability. This was the tallest of the castle’s towers, possibly because it covered the approach to the old west gate of the city. Inside the walls the tower included a crypt chapel, which may be the site of a previous church. The crypt chapel originally had a nave, chancel and an apsidal sanctuary. It is a typical early Norman design with solid pillars and arches. In 1074 D’Oyly and his close friend, Roger d’Ivry endowed a chapel with a college of priests. At an early stage it acquired a dedication to Saint George. Early in the 13th century the wooden keep on top of the motte was replaced with a ten-sided stone shell keep, 58 feet, closely resembling those of Tonbridge and Arundel Castles. The keep enclosed a number of buildings, leaving an inner courtyard only 22 feet across. Within the keep, stairs led 20 feet down to an underground 12 feet wide stone chamber, with an Early English hexagonal vault and a 54 feet deep well providing water in the event of siege. After the Civil War, Oxford Castle served primarily as the local prison. As with other prisons at the time, the owners, in this case Christ Church College, leased the castle to wardens who would profit by charging prisoners for their board and lodging. The prison also had a gallows to execute prisoners, such as Mary Blandy in 1752. 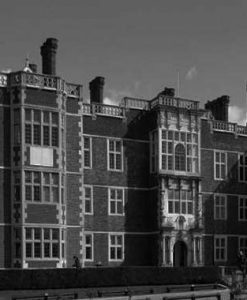 For most of the 18th century, the castle prison was run by the local Etty and Wisdom families and was in increasing disrepair. In the 1770s the prison reformer John Howard visited the castle several times, and criticised its size and quality, including the extent to which vermin infested the prison. 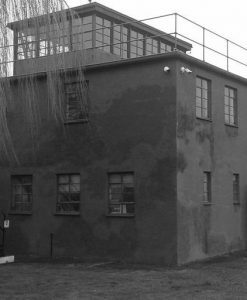 Partly as a result of this criticism, it was decided by the County authorities to rebuild the Oxford Prison. In 1785 the castle was bought by the Oxford County Justices and rebuilding began under the London architect William Blackburn. The wider castle site had already begun to change by the late 18th century, with New Road being built through the bailey and the last parts of the castle moat being filled in to allow the building of the new Oxford Canal terminus. Building the new prison included demolishing the old college attached to St George’s chapel and repositioning part of the crypt in 1794. The work was completed under Daniel Harris in 1805. Harris gained a reasonable salary as the new governor and used convict labour from the prison to conduct early archaeological excavations at the castle with the help of the antiquarian Edward King. In the 19th century the site continued to be developed, with various new buildings built including the new County Hall in 1840 the Oxfordshire Militia Armoury in 1854. The prison itself was extended in 1876, growing to occupy most of the remaining space. In 1888 national prison reforms led to the renaming of the county prison as HM Prison Oxford.